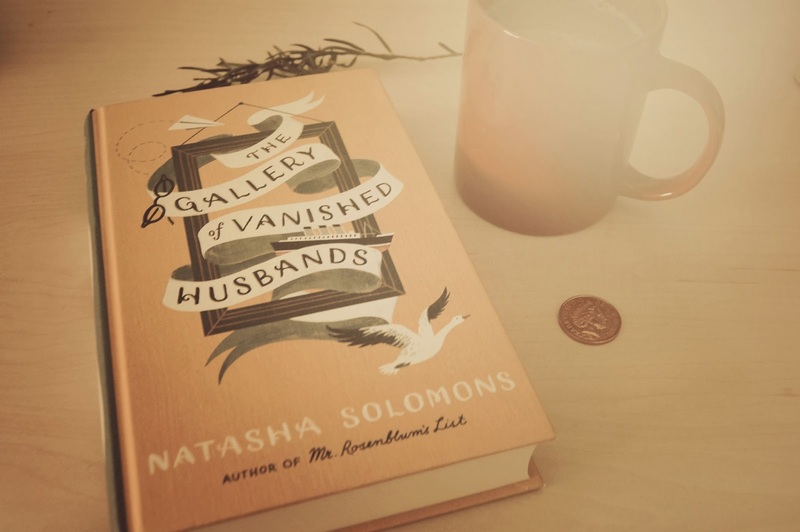 I started reading a new book the other day called The Gallery of Vanished Husbands by Natasha Solomons. I will be honest and admit that I liked the look of the book so much that I would have purchased it even if the story didn't necessarily appeal to me, though it's rare for me to find a book that I can't enjoy on some level. It has a wonderful, charming cover design and the interior backside of the cover is a pattern of geese which I absolutely adore. Luckily for me the story seems to be just as charming. It's a story about a woman named Juliet Montague who was abandoned by her husband and left with two children to raise on her own. To make matters worse she is part of a very traditional Jewish community that doesn't allow a woman to divorce a man, so until her husband either dies or divorces her she is a living widow which means she can't remarry or even be seen with another man without causing even more gossip. She does the best she can with her situation, she even manages to remain somewhat upbeat, though she has forced herself to be very practical and to bottle up her more vivacious personality traits. Unfortunately this means that her true self is basically fading away. So on her thirtieth birthday instead of buying the necessary refrigerator she treats herself to having her portrait painted so that she can be seen again. The story is set in late 1950's London and so far (I'm only two chapters into the book) it is a beautifully written tale with a great deal of warmth, humour and a tinge of sadness which makes it just that much better. Each chapter is delightfully titled after a painting in the book and from what I understand art becomes a major focus of the book so I have that to look forward to. The weather here has been very stormy lately and it's been nice to stay inside and have a cosy read in the mornings before a long day of painting. I know, I have it so rough!